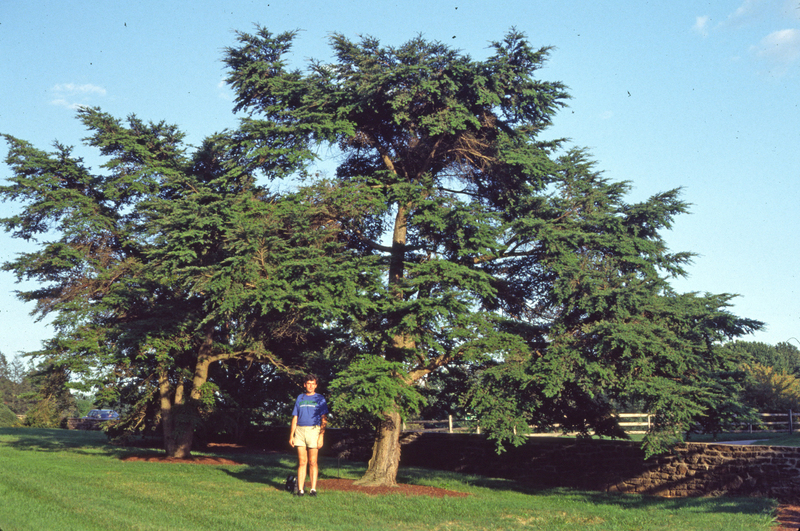 Siebold Hemlock, Tsuga sieboldii. also referred to as Southern Japanese hemlock may reach heights of 100-feet in the wild, but more often half that tall in landscape use. They have single, flattened, needle-like leaves, each about ½-inch-long, with smooth edges and a tiny notch on the tip. The undersides have two white stomatal bands. The seed cones when ripe are pale brown, one-inch-long. 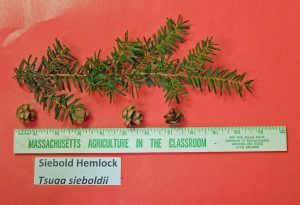 Siebold Hemlock, Tsuga sieboldii was named to honor Phillip Franz von Siebold (1796-1866), German born physician who became one of the most famous names associated with Japanese plants grown in Europe and later in the United States. Wanting to explore exotic countries he went to Holland, successfully obtained a position of surgeon major in the Dutch East Indies Army, initially posted in Java in 1822. The following year he was sent to Japan. This was still during the Military Shogunate rule (1603-1868), also called the Edo Period, when Japan isolated itself from the outside world. Only the Dutch were then allowed to trade with Japan, a 200-year monopoly, through Deshima Island, an artificial island in the bay of Nagasaki. He founded a medical school and clinic, was allowed to marry a Japanese woman, Kusumoto Taki (1807-65), and permitted to move to the mainland above Nagasaki. There he created a botanical garden and arboretum. However, in 1829 he was expelled from Japan for the possession of Imperial maps of Japan and Korea (gifts) which was declared high treason for foreigners. He was forced to leave his wife and their daughter Kusumoto Ine (1827-1903) behind. Ine later became the first female physician of western medicine in Japan. Returning to Leiden, Holland, he established a nursery specializing in Japanese flora, introducing over 730 plants, many still popular today including Malus floribunda, Sorbus alnifolia, Wisteria floribunda, Hydrangea paniculata ‘Grandiflora’, Hydrangea anomala subsp. petiolaris, Forsythia suspensa var. sieboldii and many others. In 1863 his nursery catalog listed 838 species and varieties. In 1858 his banishment from Japan was lifted and Siebold returned to Japan a second time from 1859-62. In addition to live plants, he acquired 12,000 dried plant specimens of over 200 different species. Many of these herbarium specimens were classified in collaboration with Munich botanist Joseph G. Zuccarini (1797-1848) to author as Siebold & Zuccarini, Flora Japonica (1835-41). Harvard University’s botanist Asa Gray (1810-1888) used Flora Japonica as he studied the close similarities of the floras of eastern Asia and eastern North America, which added to understanding of how different species arise. Gray’s disjunct species botanical work in turn was shared with Charles Darwin (1809-1882) to compliment his theory of species evolution, leading up to his 1859 publication of the Origin of Species. 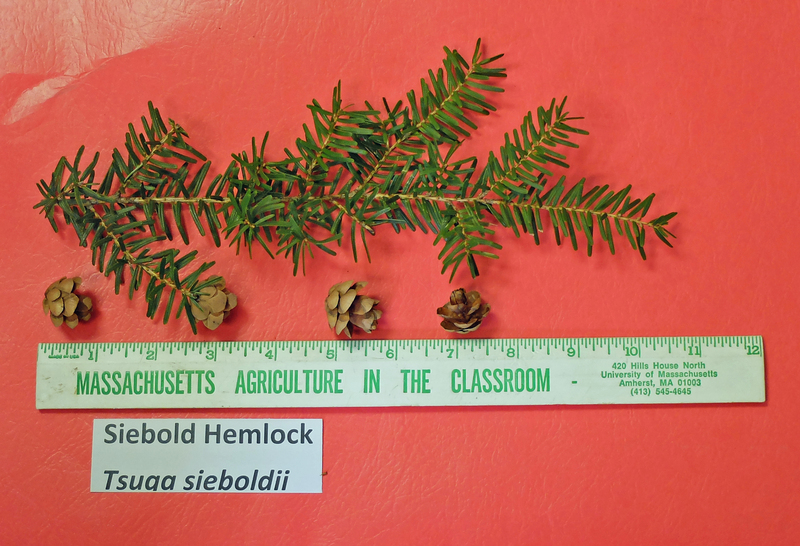 Siebold Hemlock, Tsuga sieboldii in the past few decades has received renewed interest. 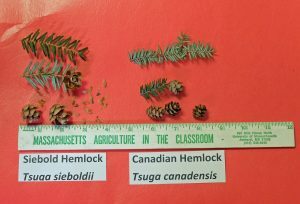 Since the late 1980’s North America’s Canadian hemlock, Tsuga canadensis as well as the Carolina hemlock, Tsuga caroliniana have been killed by hemlock woolly adelgid (HWA), Adelges tsugae. These two eastern hemlock species cannot adequately resist or tolerate the destructive feeding impacts of this introduced insect. 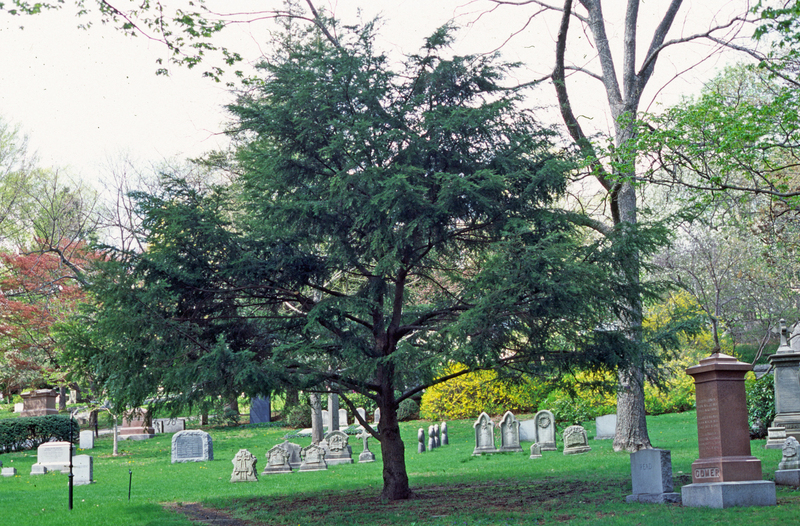 The results have been widespread deaths of hemlock trees. Along with hopes of finding naturally resistant trees, researchers are also working at developing resistant crosses between North American and Asia species, as has been ongoing for decades with an analogous situation for our American chestnut. 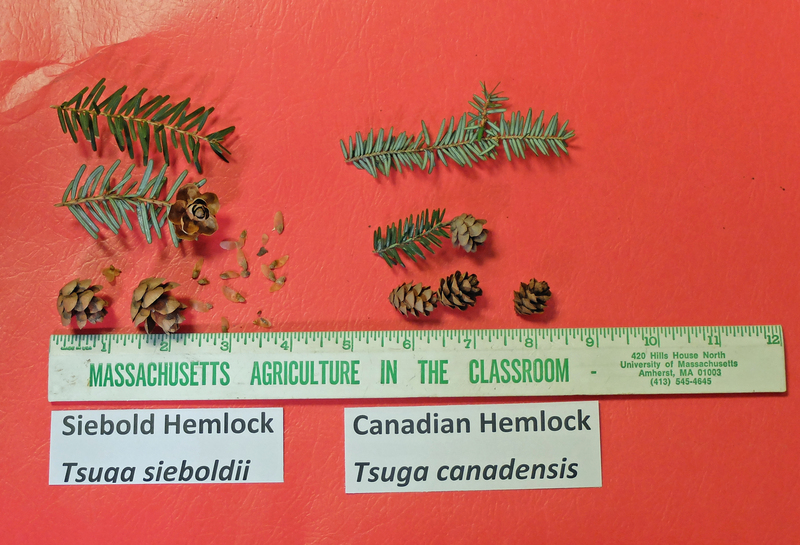 Thus far the results to hybridize Canadian hemlock, Tsuga canadensis with three different Asian species have not been successful, but ongoing attempts continue. 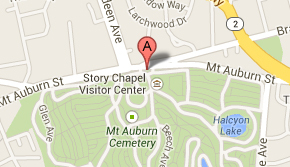 On a future visit to Mount Auburn look for a fine Siebold hemlock on Robin Path. Fascinating piece about both the man and the tree. Made even more enjoyable by the poetry interspersed. Thank you.